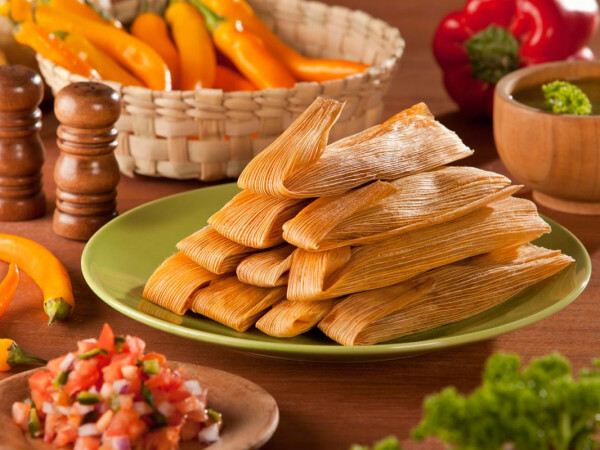 San Antonio is widely known for its iconic landmarks: The Alamo, the River Walk, La Villita, the Spanish Governor's Palace, and the Tower of the Americas. But few outside San Antonio — or even within it — realize that it is also home to a thriving artist community and a center for world-class public art that rivals any major city in the country. 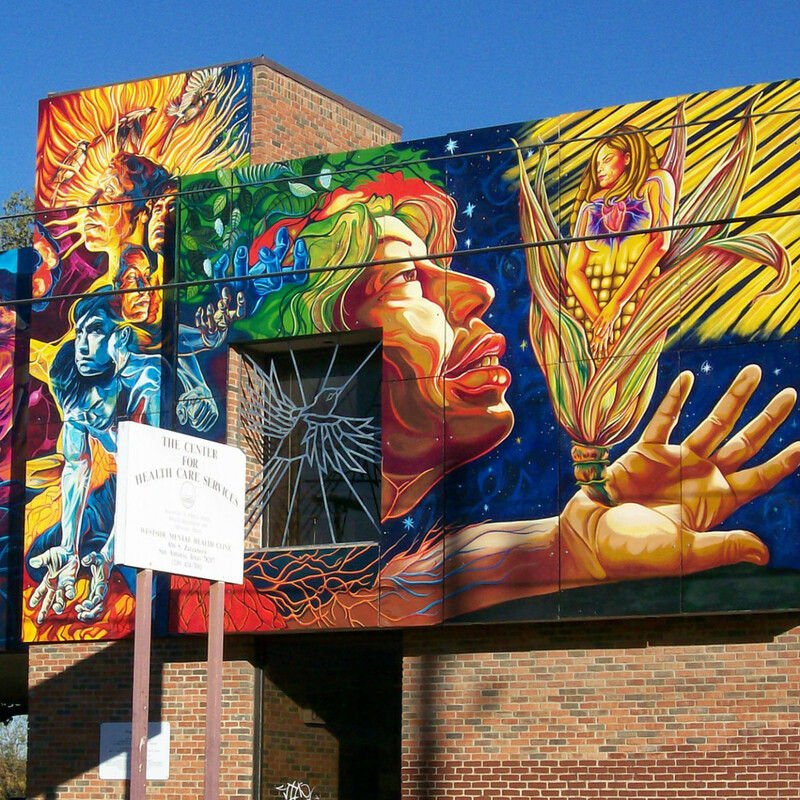 What makes the Alamo City such an attractive locale for public art? 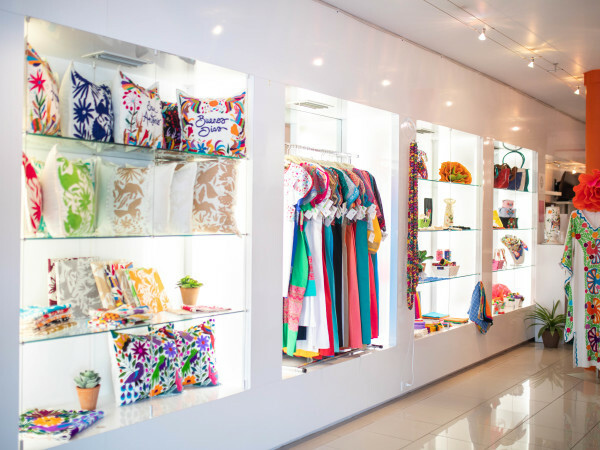 The Department for Culture and Creative Development and its Public Art San Antonio program can take much of the credit, but there are also private institutions and local nonprofits that are literally painting the town in all sorts of colors. Currently, there are over 150 public art pieces throughout the city, from monumental sculptures to expressive murals and light installations. Arriving in San Antonio in 1988, FitzGibbons' first public art project was the Daystar Arch, a 40-foot-tall arch made of jet wings with fiber optics, located at the San Antonio International Airport. 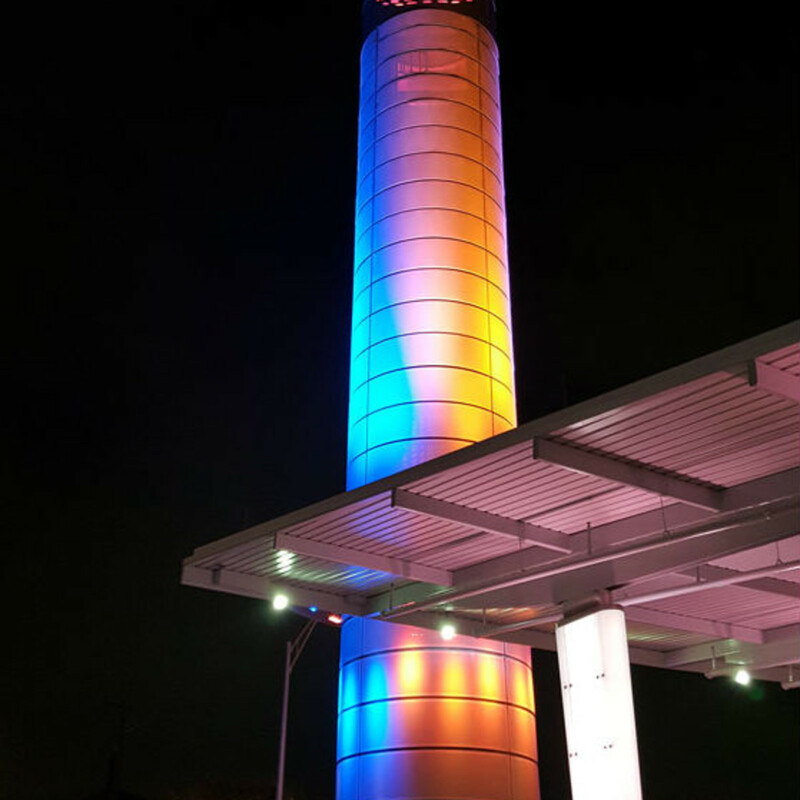 He's received over 30 public art commissions worldwide, including nine permanent pieces in San Antonio, five of which are light installations that add exclamation points to downtown nights. “I’ve been working with light for more than 30 years. When I was in undergraduate school, I started putting strips of neon on my paintings. That quickly morphed into doing three-dimensional pieces with neon, glass, and plexiglass, and I’ve never looked back,” he says. His 2007 Light Channels, located at the I-35 underpass at Commerce and Houston streets, creates a walkway of light flanked by concrete posts topped with geometric-shaped steel. 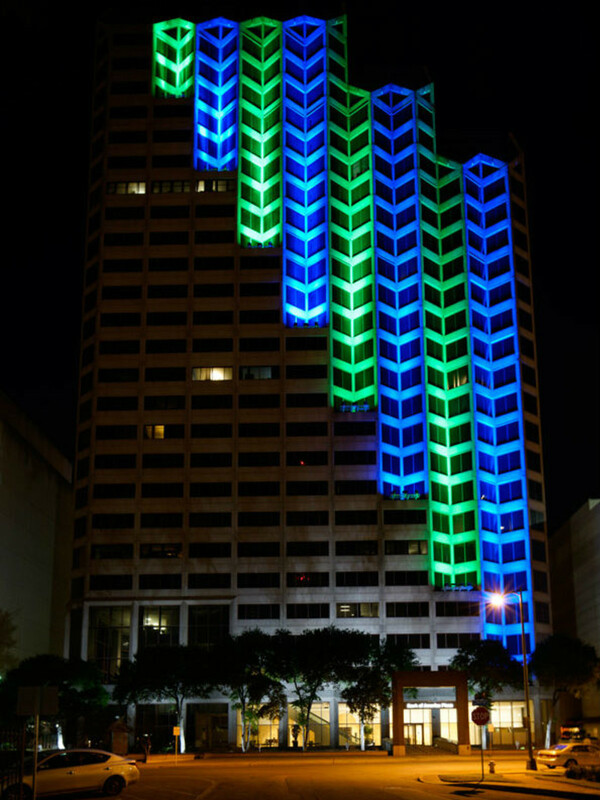 Kinetic Skyline and Centro Chroma Tower were both installed in 2016, turning the Bank of America building and the Centro Plaza at Via Villa into glowing icons with computerized multicolored LED lights in rotating patterns. “I am amazed at the powerful transformative qualities of light sculpture. The ability to make an undesirable and intimidating dark underpass into an enticing and celebratory public space is magical. 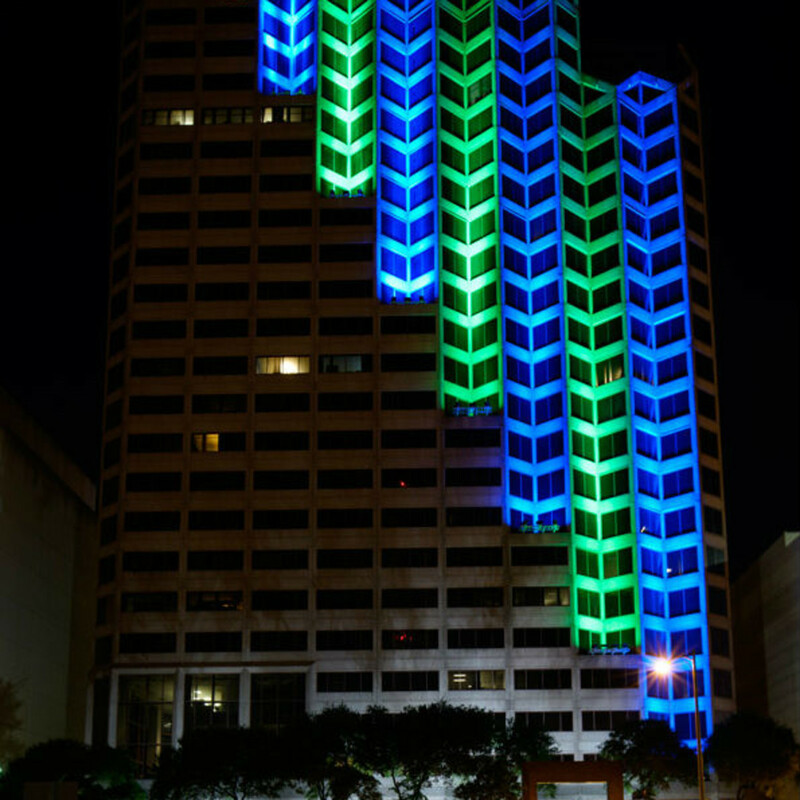 Light sculpture can transform urban architecture into a kinetic revelation of chromatic vitality,” FitzGibbons says. 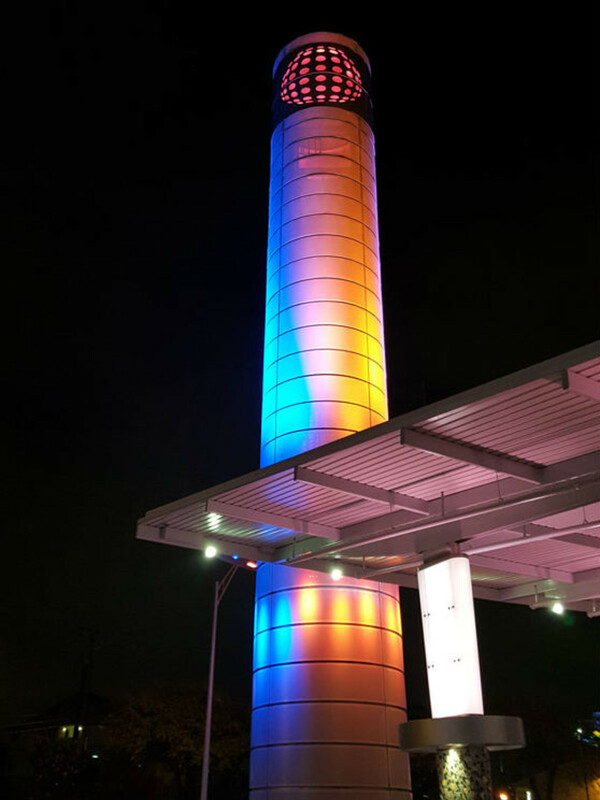 Other notable public works in the city include Donald Lipski’s F.I.S.H., a school of sunfish suspended in the air that appear to be swimming; Mexican sculptor Sebastian’s massive red Torch of Friendship, located in the circle of Convention Plaza at the intersection of Alamo, Losoya, and Commerce streets; the late Chuck Ramirez’s Suitcase Portraits, a series of whimsical light box photographs at the San Antonio International Airport; Anne Wallace’s Glorieta at Brackenridge Park; Cakky Brawley’s Source of Life at the University of the Incarnate Word; and Dale Chihuly’s Fiesta Tower at the Central Library. 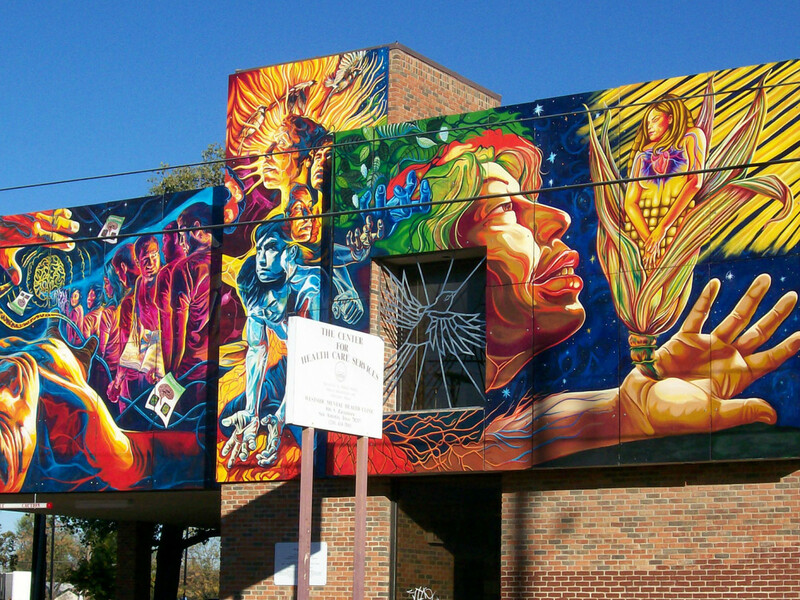 But there is also a grassroots movement on the west side creating art in unexpected places. San Anto Cultural Arts has worked on a series of 49 murals painted in collaboration with a wide number of local artists. 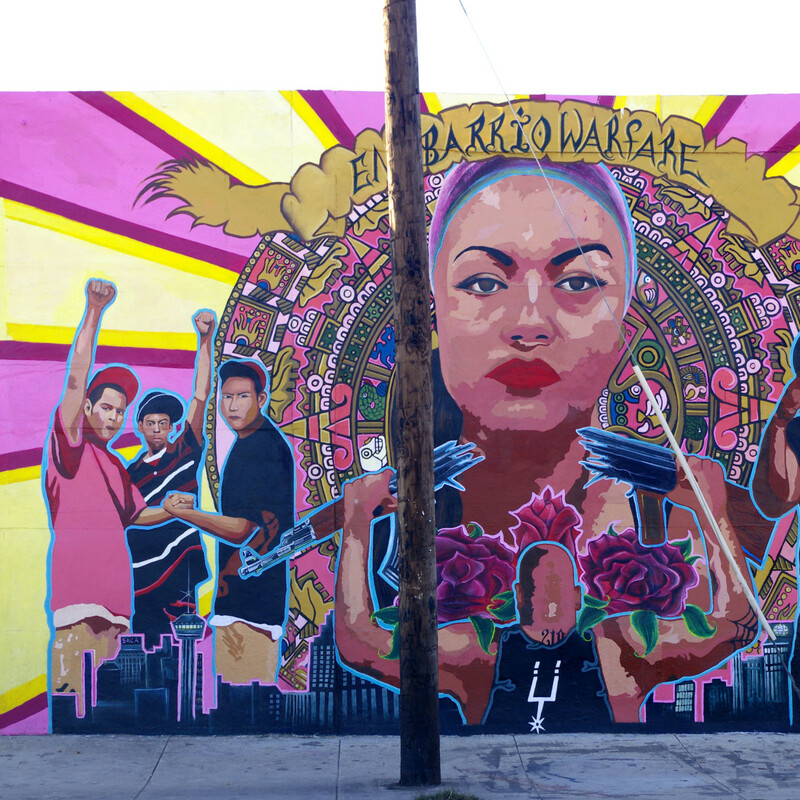 The murals show a strong sense of Latino identity and community, depicting social and political struggles illustrated by cultural icons ranging from Aztec imagery to Chicano movement figures, low riders, and even La Virgen de Guadalupe (a mural that has never been tagged). 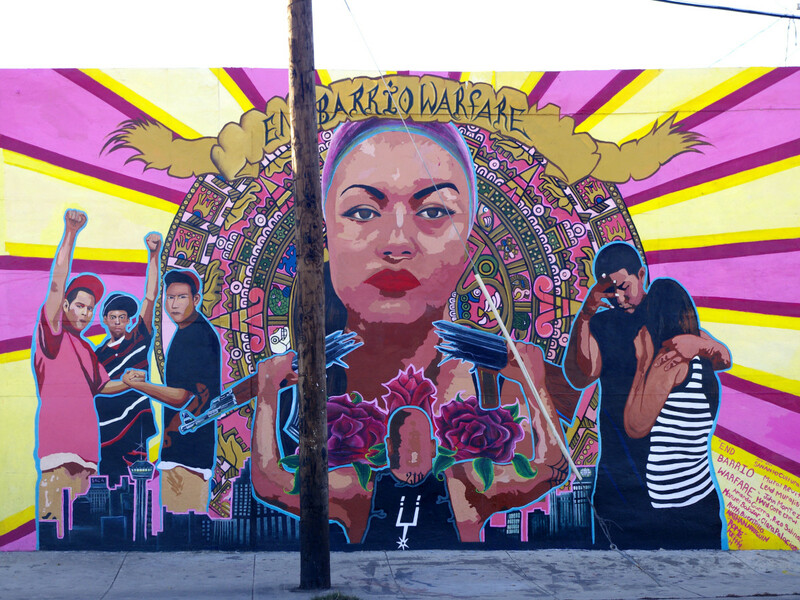 “These young people saw a need for positive expressions of cultural identity through arts on the west side, and united with other community members to make that vision a reality,” says Adriana Garcia, interim director of San Anto Cultural Arts. 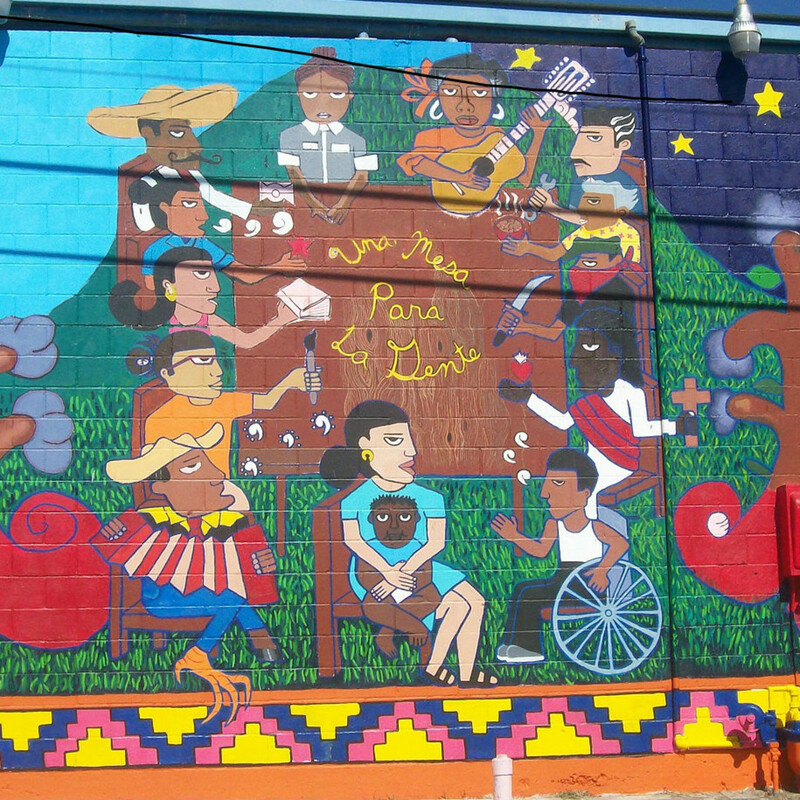 To view San Anto's 49 murals, people can sign up for a guided tour by emailing executivedirector@sananto.org or calling 210-226-7466. 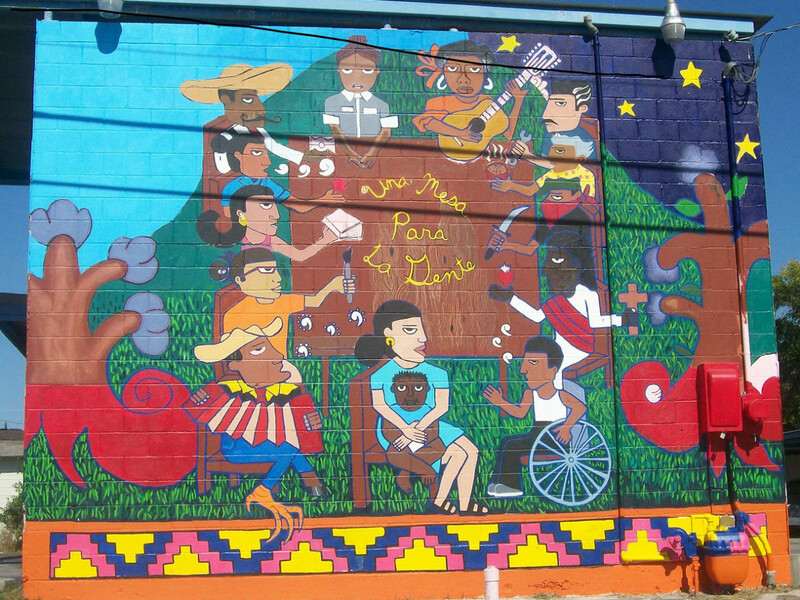 Highlights of the tour include Educación, the organization’s first mural located at Guadalupe and South Chupaderas streets; Brighter Days, a mural dedicated to mental health; Una Mesa para la Gente; and Peace and Remembrance, to which they add a name every year to honor those who have passed on due to violence. The San Anto folks are currently working on their 50th mural at 723 S. Brazos St. with two more in the works. “We have brought back artists that have a history with the organization and have been involved with its success to lead the 50th mural, highlighting the values and mission of the organization that has shaped the west side, and honoring the legacy of our founder, Manuel Diosdado Castillo,” says Garcia. Other exciting public art projects afoot in San Antonio include the revitalization of the Hemisphere Plaza with a sculpture park and works along the river at Museum Reach.